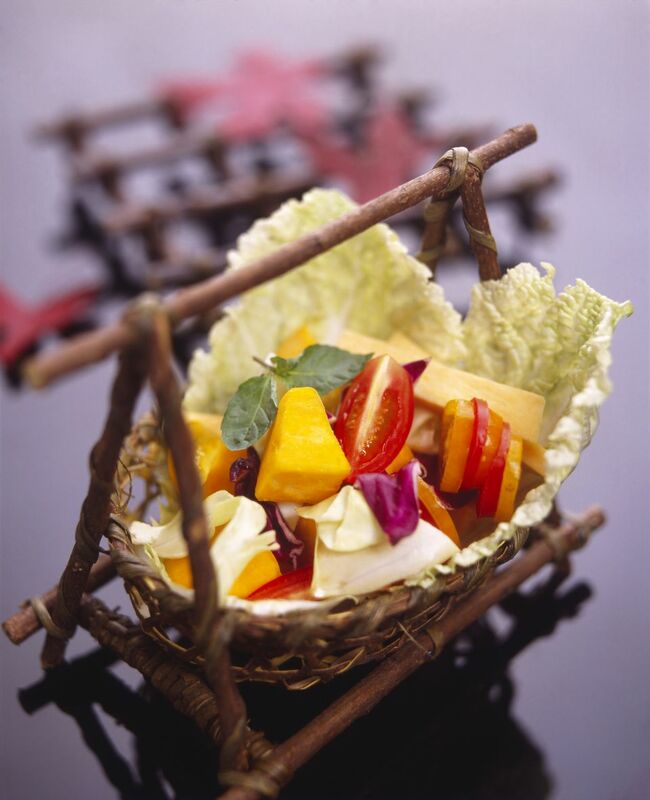 There are no hard and fast rules for preparing a fruit salad so feel free to use whatever fresh fruits are available. The main thing is to look for a variety of colors and textures. For this recipe, we recommend using Chinese Peaches, they are sweeter than many other types of peaches and a symbol of longevity in Chinese culture. However, any other type of peach can be substituted. As an added touch, feel free to garnish the salad with a few mint leaves if desired. Mix together the sugar and almond extract. Stir in the five-spice powder. Set aside. Peel and slice the banana. If using fresh mango, peel and slice the mango. Cut the stems off the kiwi fruit and pare off the skin. Lay the kiwi on its side and slice. Wash and thinly slice the peach. Wash and hull the strawberries, and cut in half. In a bowl, lay the banana slices in a ring around the edge. Lay the Kiwi slices in the middle. Sprinkle a bit of the sugar mixture over. Spread the mango slices over top of the bananas and kiwi. Sprinkle a bit of sugar over. Lay the peach slices around the edge of the dish. Sprinkle again. Lay the strawberries in the middle, and sprinkle the remaining sugar on top.